Thursday morning, Isabelle came into the living room full of excitement and energy. She said, “Daddy, today’s my birthday.” “I know, sweetie,” I replied. She said, “It took the earth to go around the sun seven times for my adventure.” What a beautiful way to look at life—an adventure. It’s taken the earth 35 and a half times around the sun for my adventure, but I’m not sure it’s as adventurous as it could be. It’s not about the revolutions, but it is about revolution. Life is an adventure, at least it should be. “Adventure is out there,” is a reoccurring phrase in Disney/Pixar’s “Up.” As Ellie and Carl live their life together Carl realizes that he never quite made time for his “Adventure,” but then it became too late because Ellie became sick and then Carl found himself to be alone. Carl waits until the end of the story to set out on an adventure. The young man in Jesus’ parable didn’t wait so long. He looks at his father and says, “I want my inheritance now,” which is a polite way to say, “Drop dead, old man.” The father, without harsh words or regretful stipulation, he gives his youngest son the inheritance he desires. The young man goes out into the world, makes terrible decisions, loses everything, and finds himself feeding pigs for a living. Adventure is, most certainly, out there, but it wasn’t the kind of adventure he had imagined. 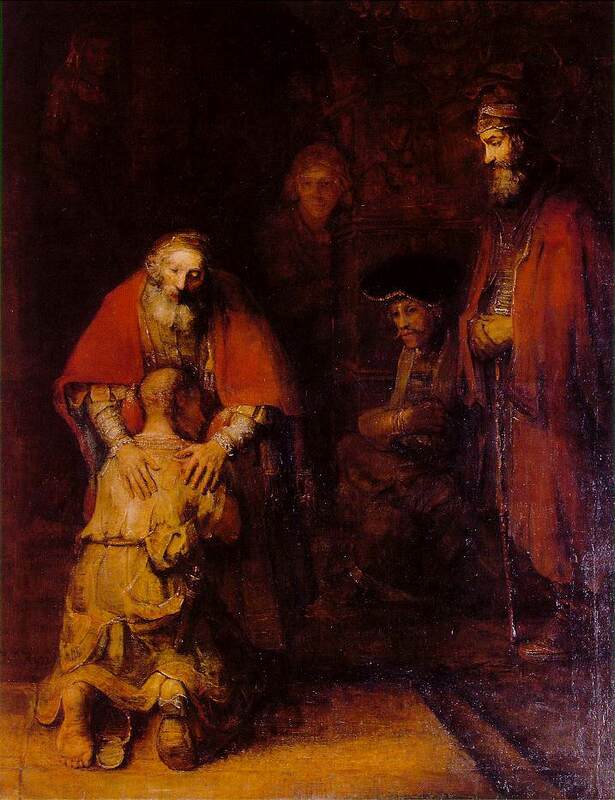 My first sermon as a United Methodist pastor was on the parable of the Prodigal Son. It also happened to be the Sunday after Christie and I had our first child. It also happened to be Father’s Day. We were starting a three-fold adventure of a new church, new vocation, and new being parents, and we had no idea what was in store. There’s lots to talk about in this parable, but the phrase that captures me time and time again is verse 20—“While he was still far off.” The young man comes walking back to his father’s house rehearsing his confession, over and over again. His father sees him in the distance, which suggests that the father was looking, and while he was still far off, the father was moved with compassion and ran to him, put his arms around him, and kissed him. Then the son began to confess, and the father interrupts saying, “Put a rob upon him, and sandals, and a ring. My son is home.” While he was still far off . . . my how I feel “far off” at times, especially the first time preaching this text after being a dad for four days. I had just barely qualified for a father’s day. While he was still far off. This is the good news. This offers hope. While we are still far off God runs to us and embraces us. The father does not sit atop an ivory tower and greet us at the door with guilt or shame, saying, “If you want to come in you’re going to have to do this, that, and the other to prove that you want entrance into my house.” No, the father runs and embraces and celebrates. This is the love of a father. This is the love of our Father revealed to us in the grace of Jesus Christ, empowered by the Holy Spirit. Father, Son, and Spirit: God three in one, a God whose love is too great to keep inside the Trinity’s heart. That’s why there is anything at all. 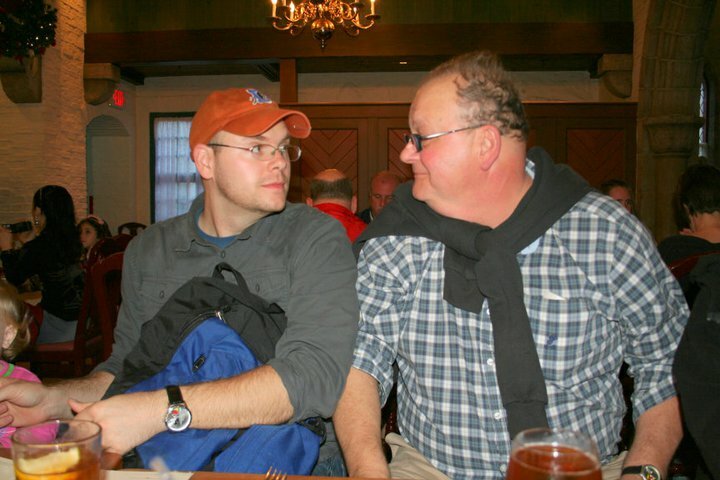 I know I’ve told this story, but it bears repeating on Father’s Day. My dad and I were walking the beach one day while I was in high school, and I asked him, “What am I supposed to believe about the whole evolution/creation thing?” He said, “On the tip of your finger there are roundabout a billion carbon atoms. Carbon comes from the death of stars billions of light years away. You are very intentionally made. The God who hung the starts had to shake them for you to be.” In the beginning, the love within the heart of the Trinity was too much to keep concealed. God looked upon the dark and formless void. God’s spirit hovered over the waters. Then the word of God proclaimed, “Let there be.” The activity of the Trinity was there from the beginning. Now, I love talking about the Trinity, but I’m also a nerd. Simply for now the point today is that God is relationship. God is always plural and never alone. . . . which is why God runs to us while we are still far off . 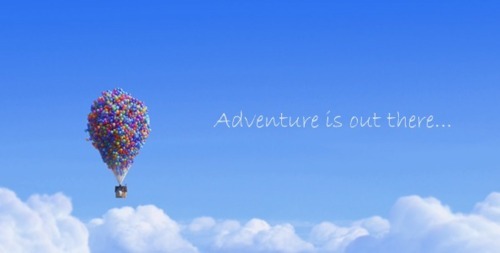 . . adventure is out there. Make your life an adventure. . .